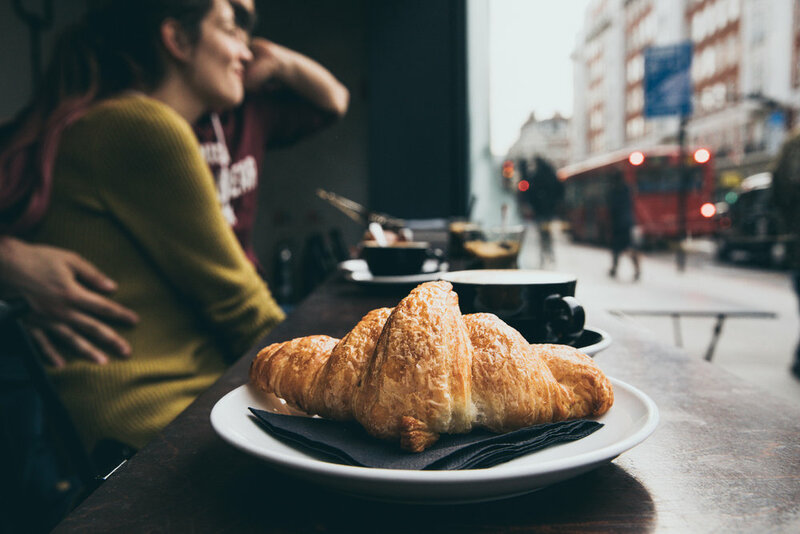 We're privileged to be located in some of the most iconic London destinations and we endeavour to provide a beautiful relaxed neighbourhood cafe, with outstanding coffee, brunches, cakes and service. Our story started with our sister cafe, Leyas, back in 2011 on the vibrant Camden High Street. With a chilled style true to the local Camden vibe, the laid back atmosphere creates a home from home. Our second independent coffee shop brings something different and authentic to the locals and workers of Baker Street and Marylebone. Saint Espresso Angel is proud to serve our local neighbours, from the residents of Islington, to the passing commuters and, of course, local businesses. Our most recent shop brings the people of Kentish Town a place to hang out for brunch, lunch or sweet treats throughout the day. Saint Espresso started with a simple aim, to bring excellent coffee to the local neighbourhood in a beautiful setting, with top, friendly service. We invested in the best equipment and well-trained, experienced staff to ensure consistently great coffee. Our team sources and roasts all of our own coffee before it arrives freshly in store where we meticulously weigh, extract and pour each cup. We’re proud to be a true independent, serving our local neighbourhoods. Our team at the roastery work tirelessly to ensure we provide only the highest quality coffees, which are available in-store and wholesale. We work with green bean importers across Europe to source specialty coffee from the freshest of crops, with the finest of flavours and fairest trade to the farmers. You can be assured that every effort is made to deliver quality and consistency across every batch of coffee we roast.